WCW and TNA star Jerry Tuite, who wrestled under the names “Sgt AWOL”, “Sgt. A-Wall”, and “Malice” – dead at 36 after suffering a heart attack. Jerry Tuite’s 6’10” 320-pound frame made him a natural for the squared circle, wrestling during the Monday Night War. The big man performed in WCW under a few variations of “The Wall” (including “Sergeant AWOL” and “Sergeant A-Wall”). When WCW was absorbed by the WWF in 2001, Tuite signed a developmental deal, but never made it to TV. Jerry Tuite was described by announcer Mike Tenay as “a gentle giant” and someone who constantly worked to improve himself in the ring. Tuite toured All-Japan Wrestling, the last place he would wrestle before his shocking death at the age of 36, just weeks shy of his 37th birthday. Michael Jerome Tuite was born on December 27, 1966 in Ocean Grove, New Jersey. 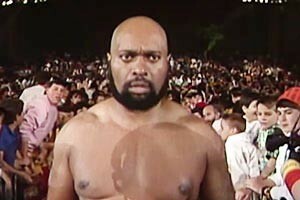 Tuite trained with wrestler “Iron” Mike Sharpe at Sharpe’s Jersey wrestling school, eventually befriending Bam Bam Bigelow. Tuite began working in independent territories including NWA New Jersey and occasional spots in ECW. In 1999, Tuite went to the WCW Power Plant, where he caught the attention of WCW booker Kevin Nash. Tuite was paired with Berlyn (aka Alex Wright) as Berlyn’s bodyguard, “The Wall.” With his raw power and devastating chokeslam, “The Wall” presented a challenge to any opponent. Tuite split from Berlyn and went on to singles action for the next several months, eventually joining “The Misfits in Action” (MIA) faction as Sgt. AWOL. Despite his size and potential, “The Wall” never became a top star. 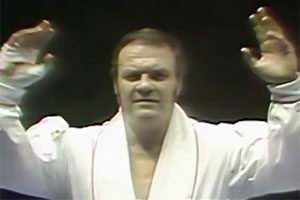 When WCW was bought out by the WWF, Tuite was signed to a developmental deal, but personal issues led to his dismissal. Tuite returned to NWA New Jersey and also found work in Phoenix Championship Wrestling. In June 2002, Tuite joined the new promotion NWA Total Nonstop Action (TNA) as “Malice,” a big man with a penchant for violence and a short temper. Jerry Tuite was finishing a tour for All-Japan Pro Wrestling, working a pay-per-view six-man tag team match with Bull Buchanan and Justin Credible in a winning effort against Nobutaka Araya, Tomoaki Honma and Kazushi Miyamoto. Tuite was found unconscious in his hotel room by La Parka and Nosawa. He was taken to the hospital, but medical personnel were unable to revive him. On December 6, 2003, Jerry Tuite passed away at the age of 36. His cause of death was listed as a heart attack. According to findagrave.com, Tuite’s body was created and his ashes given to either family or friends. 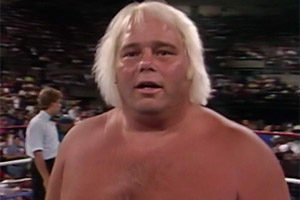 Jerry Tuite joins a long list of wrestlers who died before age 50. 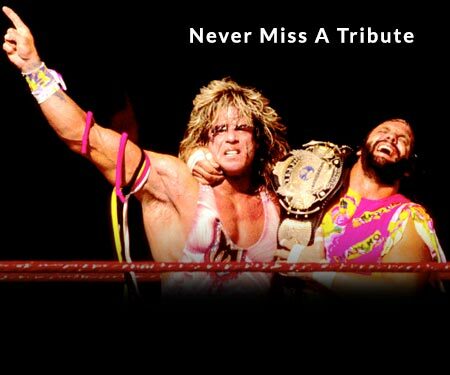 Several other notable wrestlers died in the 2000s including the Big Boss Man, Chris Benoit, Curt Hennig, Earthquake, Road Warrior Hawk, and Yokozuna to name a few. What are your memories of Jerry Tuite? Share them in our comments section below.